I am honored to be part of The Beauty of Darkness Blog Tour. I’ll be sharing my thoughts on the first few chapters- because like you- I’ve not read the entire book. The first in the series, The Kiss of Deception blew me away. I was so surprised by the twists and so swept away with the characters I knew I’d be addicted to this series. The sequel, The Heart of Betrayal, was somehow capable of building on the first book and being even better. How often is a sequel even better than the first book? Not often. 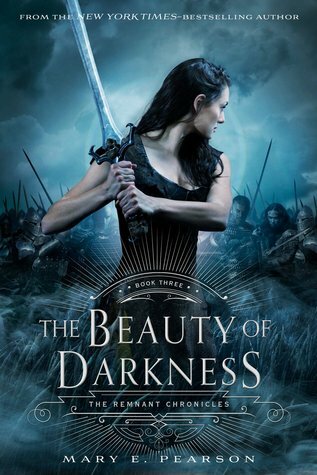 I can’t wait to read the entirety of The Beauty of Darkness and see how Pearson ends this story line and where she leaves her characters. Oh my goodness! That was my first thought. These first pages (first five chapters to be exact) were so ‘edge of your seat’ for me. 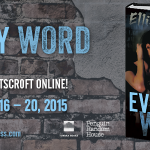 I was immediately pulled back into the story and was frantically flipping through the pages. Lia has been hurt and is in and out of it. I love that Pearson writes this series in first person because I felt like I was Lia. I could nearly feel her confusion, pain and sadness. Many times when a character is shot with an arror or sliced by a sword it doesn’t seem to really hurt them all that badly. Not so in this book. Lia is in drastic pain and it comes across the pages. It feels realistic. This pain stands to only make her a stronger person and set her more directly on the path laid before her. There was a bit from Rafe’s point of view and it helped to build up the location and scenery of where they are hiding out. The immense need to help Lia to heal but also get as far from their enemies adds tension to the pages. The Komizar’s fate is questioned- is he dead? Surely so. He was stabbed with a poison blade. Rafe saw him and he appeared life-less. But, what if he somehow survived? And what of Kaden? What motives drove his actions? ALL THESE QUESTIONS. But! The wait is over! The Beauty of Darkness is available TODAY. So, run out and buy your copy or take your chances to win one below. 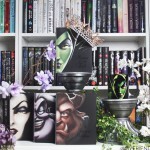 I’ve got one (1) hardcover copy of The Beauty of Darkness to give away. This giveaway is hosted by the generous folks at Macmillan so it’ll be US/Canada only and provided by them. Hmm thats a different question. I am drawn to all but if I had to choose it would be Kaden. We do not have a proper conclusion on what happened to him so I am curious on what happened to him and the city. Yes! Me too! I want to know what his motivations are and I must know his outcome. It was a hard question because all the characters are so great. Hmm thats a difficult question. I am drawn to all but if I had to choose it would be Kaden. We do not have a proper conclusion on what happened to him so I am curious on what happened to him and the city. Lia and I hope she gets her happily ever after! I’ve have this one on my radar for a while, so now I’m even more excited for it! Glad to hear the positive review of the sampler! I would have to say Lia! Thanks for the giveaway! I’m drawn to Lia the most because of how interesting she is and how much I feel the need to know her. I am so excited for this book! I read The Heart of Betrayal last month and I am excited to see where this series finishes. Rafe! He’s a good guy at heart and also clever and strong. Thanks for the chance! Can’t wait to see what happens to Lia and the rest of the characters. Can’t wait to read the last book in my favorite series! I loved your review of the sampler I’m glad to hear good things about it! I love Lia, we share a name and character traits! She is so strong willed and strong and has endured a lot in the past months. Can’t wait to see her final developments as a character and see her relationship with Rafe grow. 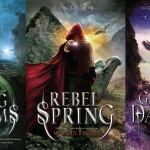 For now Kaden, but I am interested to know if my feelings will change after the last book. This has happened before…. I’m not sure yet because I haven’t started the series , but I would love to own this one and get started. Gosh, I’m rereading it via audiobook and I love Walther. I’m crying a little because of… So excited for this last installment. I haven’t read any of the books yet but I’m really excited to. Thanks for the giveaway! I haven’t read the first one so honestly couldn’t say! To be honest *don’t hit me* I haven’t read any of these books yet… But I have the first two! And I want to curl up on a long weekend and read them all through! 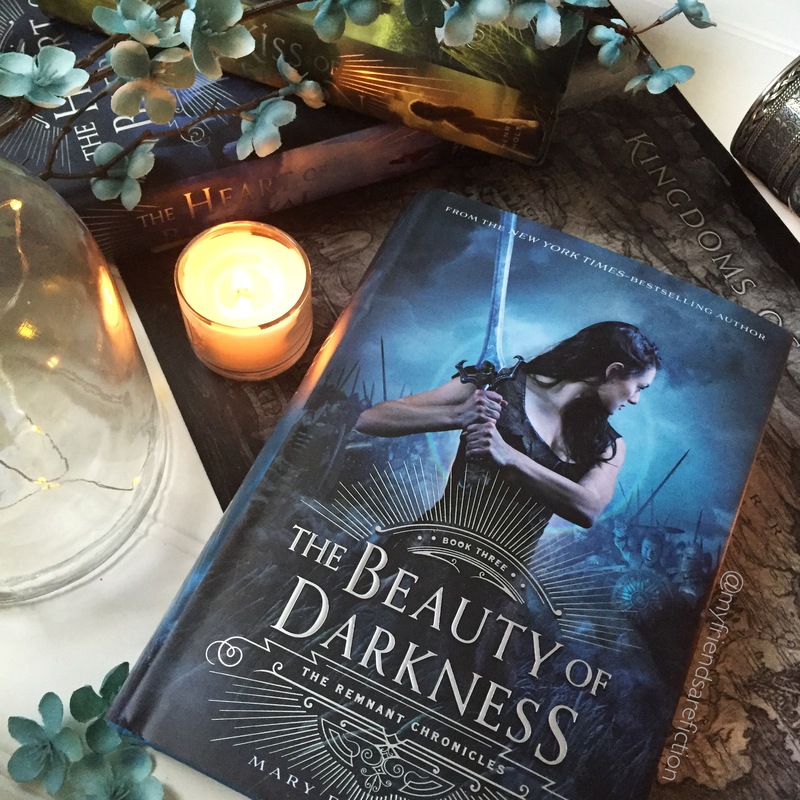 It’s been a year since book 2, but for me it is Kaden, can’t wait to read The Beauty of Darknes…my TBR is so so long. I’m probably drawn to Rafe the most. Thanks for this amazing giveaway! I think I’m most drawn to Rafe! He seems so interesting and filled with mysteries! I am most drawn to Kaden, for sure. He’s so mysterious and has lived a very difficult life, but at the same time, he can be so kind and gentle.